The upcoming Legend of Zelda was revealed rather unconventionally last year, with Nintendo bigwigs Shigeru Miyamoto and Eiji Aonuma showing off early footage late last year. Its 2015 release date has already been pushed back to next year, and Nintendo had previously iterated that the game would not be making an appearance at E3 next month. However, an anonymous GameStop employee has been in touch with Hidden Triforce, claiming to have heard murmurings from the insides of Nintendo itself. And if he’s to be believed, it seems that another trailer will be shown off, along with some official artwork, during the company’s E3 presentation after all. 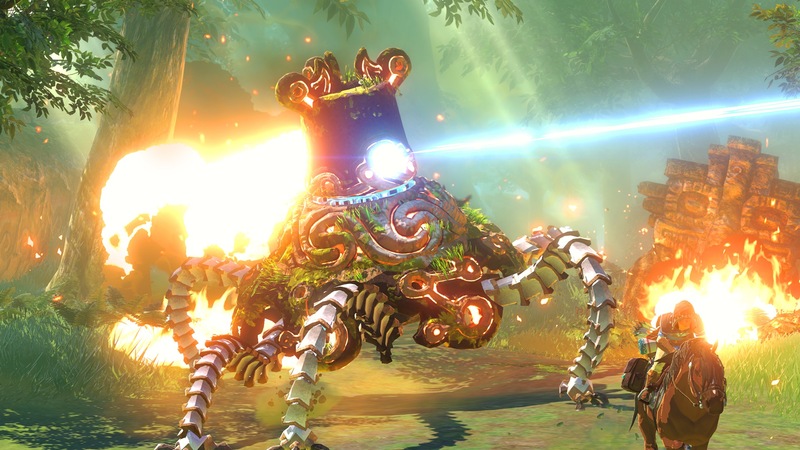 Hidden Triforce has more supposed Zelda Wii U tidbits, plus a few details regarding a potential Metroid reboot for Wii U, an online multiplayer mode for the upcoming Star Fox game, and more. Check out their article here. This entry was posted in News, Rumour and tagged Nintendo, The Legend of Zelda, Wii U. Bookmark the permalink. If you'd like to see your content featured on Nintendo Invader, find out how right here! Never miss a post by receiving an e-mail every time we publish a new article on Nintendo Invader.